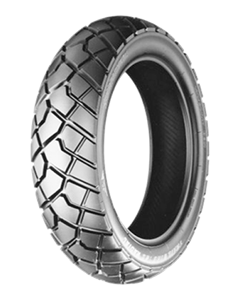 An on-off road tyre with an emphasis on street application. Excellent high speed stability, handling, wet performance, and all-round street use performance has led to its choice as original fitment on prestigious, high-powered bike brands such as BMW and Honda. All-round performance, especially on-street, has led the TW101 to be chosen as OE on prestigious bike brands such as BMW and Honda.